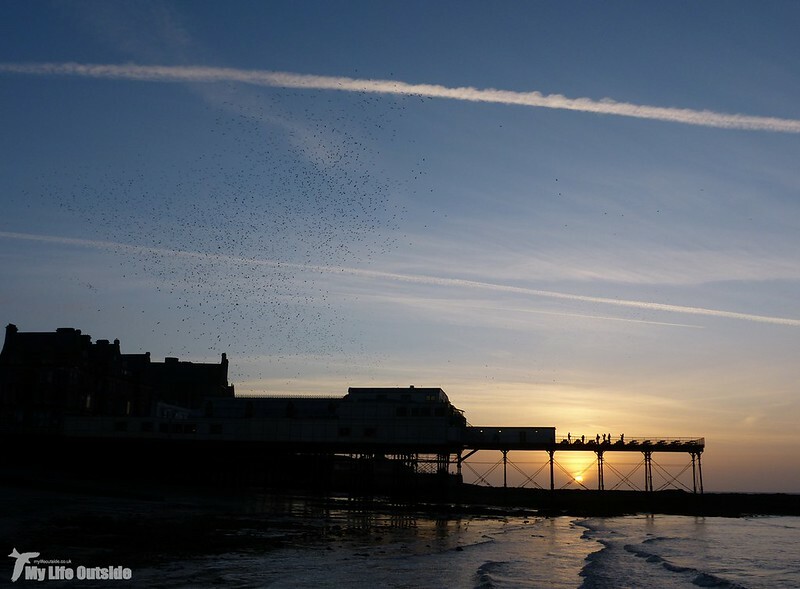 Aberystwyth pier and Starling murmurations have become synonymous with each other over the years to such an extent that each evening now sees a sizeable group of residents, students and tourists gathered along the seafront. 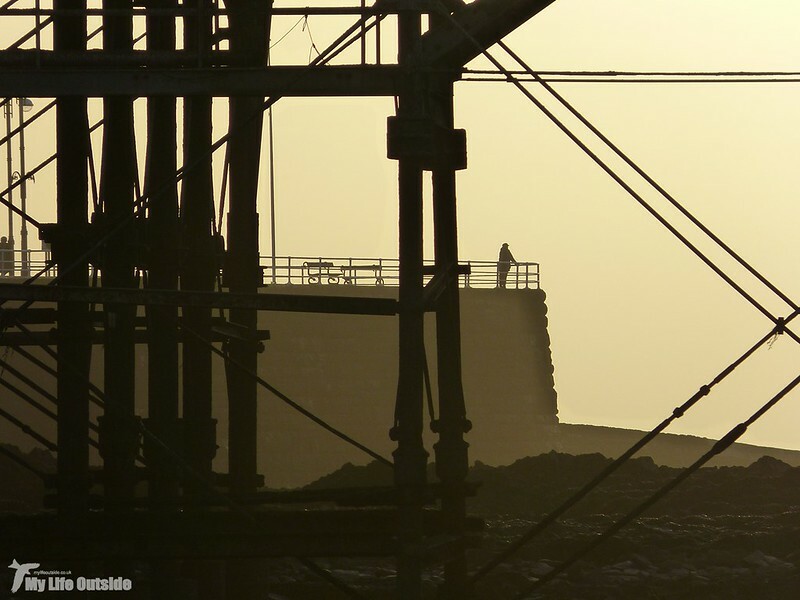 I'm happy to say that over the last decade or so I have been in attendance on a number of occasions, most of them from my favoured vantage point on the wooden jetty along north beach. Not only do you get great views of the setting sun from there but perhaps more importantly it's also well outside the poo zone! By half four on Saturday afternoon the sun was already well on its way to the horizon when the first couple of Starlings began to appear. Another few minutes passed before a slightly larger flock swooped in across the rooftops, a real relief as for a moment there we'd feared that the display might not happen at all. As always with nature nothing is ever guaranteed and with the Starling population continuing to suffer you do start to wander if this year might be the last. 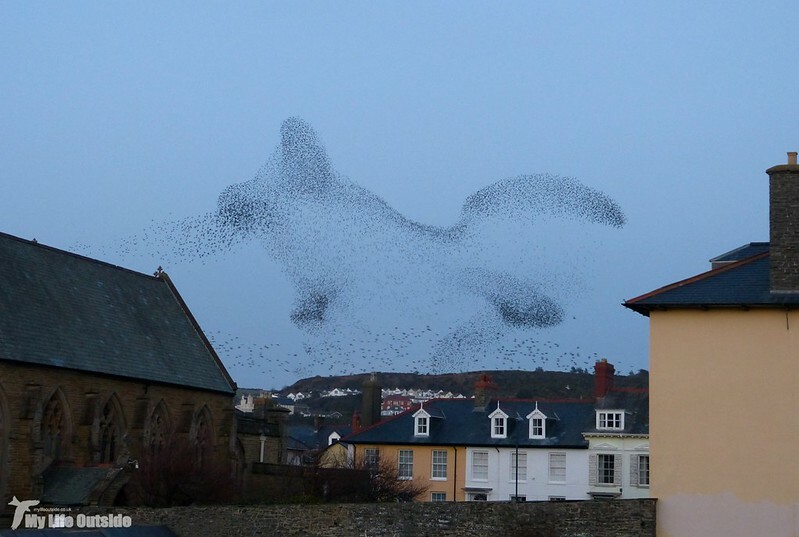 Fortunately I can confirm that in Aber at least such doom-mongering is misplaced as tens of thousands of birds soon joined the melee overhead. 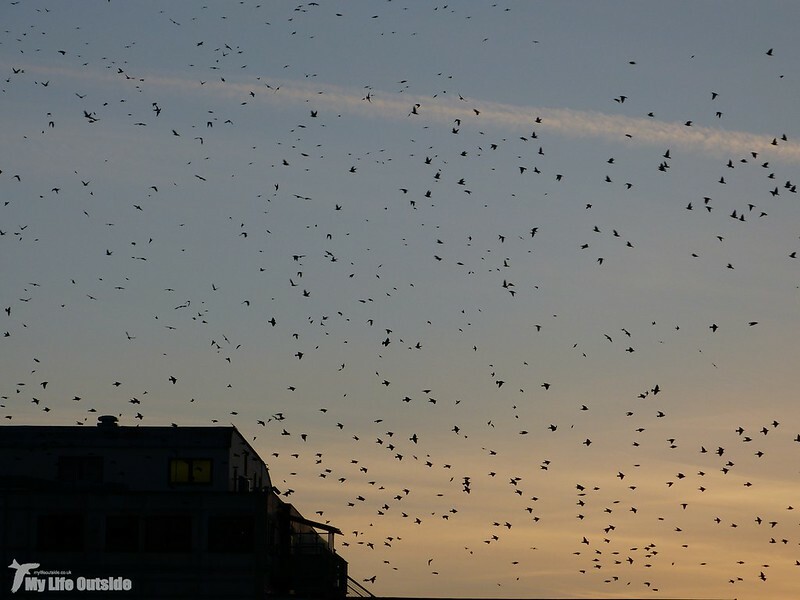 Though sunny days are great for sunsets they're not so good when it comes to Starling murmurations. 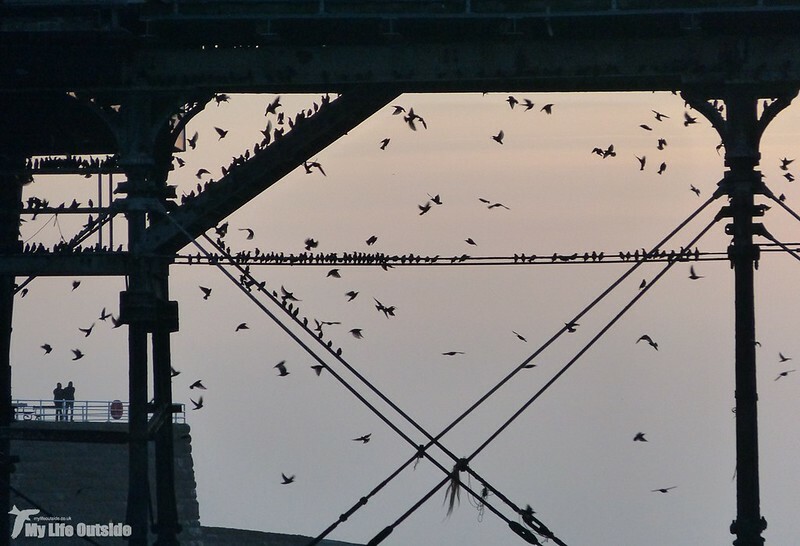 We've tended to find that the birds stay out later on fine days to maximise their feeding opportunities leaving little time for display once they return to the pier. Instead we get a couple of minutes flying around before the flock heads straight in to roost. Events looked to be following a similar pattern this time out so once the last large flock had descended we headed off back to the car. 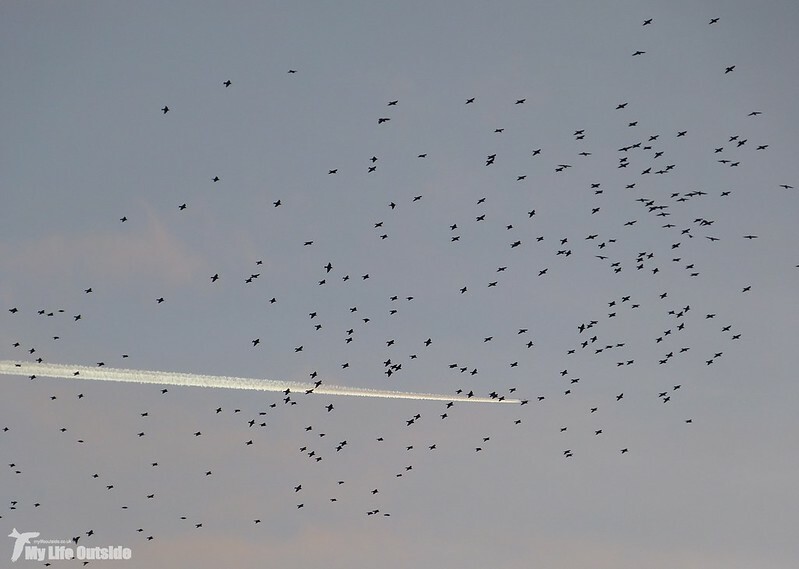 However something, or more likely someone, had clearly disturbed the birds putting the whole lot back up as one. With the last light of day rapidly fading the massed thousands at last started to murmurate fully, a stunning display above Old College and St Michael's Church and one of the best I've ever seen. 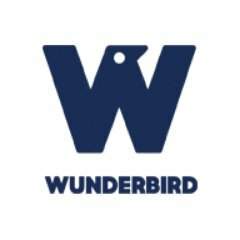 With each change in direction another strange shape would form often resembling something familiar whether that be a bird, Octopus or snake. All coincidence of cause but who doesn't like to think that there's some kind of plan being played out amongst the chaos. 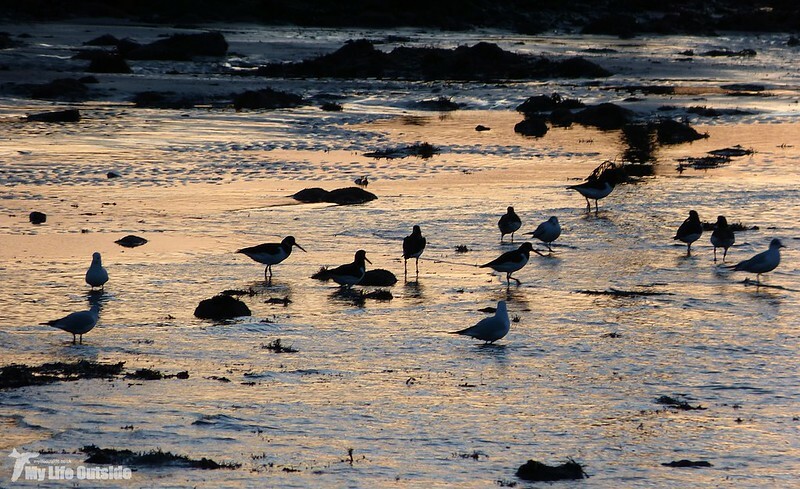 It wasn't just Starlings who were making the most of dusk however with a small flock of Oystercatchers and Turnstones down on the beach. In such nice light it would have been rude of me not to take a couple of photos. What a fantastic way to end our Aberystwyth trip. 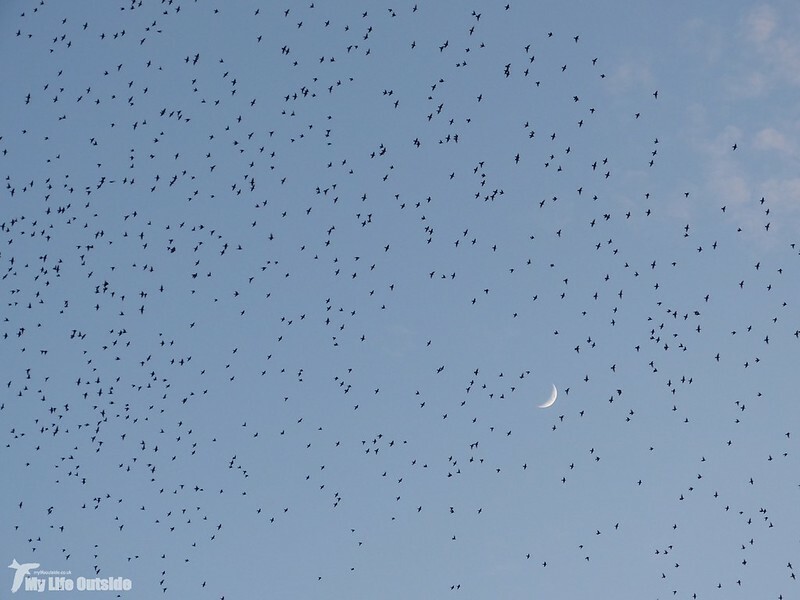 If you ever get the chance to go and see the murmuration for yourself I highly recommend it. Just look at some of the previous displays we've witnessed here, here and here. Fantastic video - I loved the snaking effect towards the end. 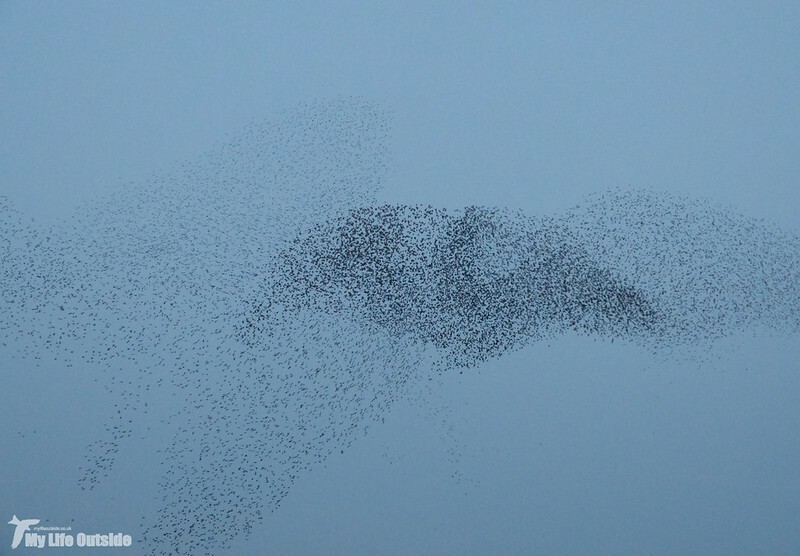 We saw one of the best displays of knot at Snettisham a couple of years ago but I've never seen starlings. Must try to get to Aber next winter. Thanks Nic I think that's my favourite part as well. I'm the opposite to you in that despite trying on a couple of occasions I've yet to see the huge flocks of Knot at Snettisham. Maybe this year. This is always a wonderful sight and I enjoyed the video. 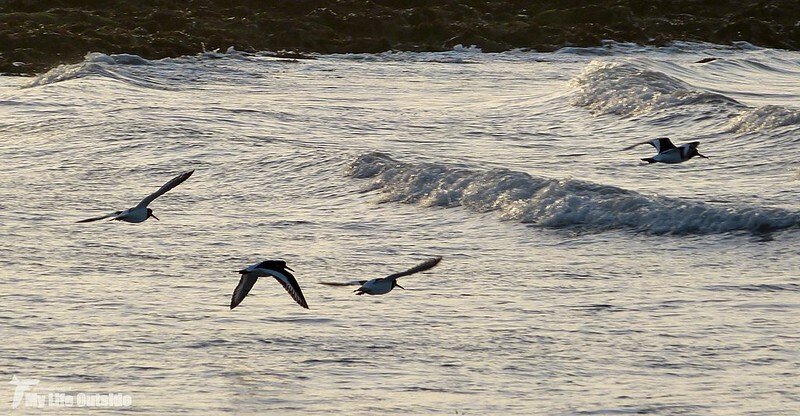 Just returned from break at Aberystwyth, enjoying sight of the turnstones and oyster catchers. However, this video may see me returning in January 2017 to watch the starlings. The video is mesmerising and much appreciated.